Recognition: She is the first African-American woman CEO to head a Fortune 500 company. She is also the first woman to succeed another woman as head of a Fortune 500 company. In 2009, Forbes rated her the 14th most powerful woman in the world. 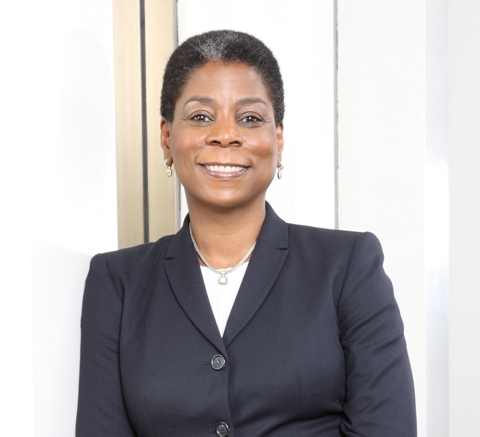 Ursula M. Burns is chairman and chief executive officer of Xerox Corporation. Burns joined Xerox in 1980 as a mechanical engineering summer intern and later assumed roles in product development and planning. From 1992 through 2000, Burns led several business teams including the office color and fax business and office network printing business. In 2000, she was named senior vice president, Corporate Strategic Services, heading up manufacturing and supply chain operations. She then took on the broader role of leading Xerox's global research as well as product development, marketing and delivery. In April 2007, Burns was named president of Xerox, expanding her leadership to also include the company's IT organization, corporate strategy, human resources, corporate marketing and global accounts. At that time, she was also elected a member of the company's Board of Directors. Burns was named chief executive officer in July 2009 and assumed the role of chairman of the company on May 20, 2010. In addition to the Xerox board, she is a board director of the American Express Corporation. Burns also provides leadership counsel to community, educational and non-profit organizations including FIRST - (For Inspiration and Recognition of Science and Technology), National Academy Foundation, MIT, University of Rochester, and the U.S. Olympic Committee, among others. Burns was named by President Barack Obama to help lead the White House national program on STEM (science, technology, engineering and math) in November 2009 and was appointed vice chair of the President’s Export Council in March 2010. Crystal Wright is a self-help author, educator, motivational speaker and coach to professional women and teen girls. She is known as the Empowerment Diva and a woman who helps people get unstuck––a job she finds particularly satisfying as she doles out each piece of advice with a healthy dose of tough love and expectation. In March, 1986 Crystal Agency was born, and Wright spent 24 years negotiating deals in Hollywood and New York for beauty professionals who worked in print, video, film and TV. It was during this time as an agent for freelance professionals that she published her first self-help book, The Hair, Makeup & Fashion Styling Career Guide. With it she suddenly became the internationally recognized expert on the subject of career building and marketing for beauty and fashion professionals and still appears regularly as a guest speaker and educator at industry trade shows and events. In the summer of 2008 with the worsening recession, a succession of corporate bankruptcies which drove many of her longtime clients out of business, and thousands of dollars of unpaid invoices, Wright took these events as a sign that it was time to turn up the heat on her longtime passion of educating, motivating and teaching others how to create personal and professional success in their lives. Little did she know what God had in store for her when on March 8, 2009 she was given a vision for a book and audio program that would refocus a person’s attention on identifying and maintaining 100 percent in their lives. This new book, 30 Days at 100 Percent begs the question: How would your life be different if you were striving to live at 100 percent? It challenges you to identify areas of opportunity in eight different areas of your life and suggests that by focusing on changing only 1 or 2 things every 30 days, you can start to take your power back in month one, gain momentum in month two, and begin to achieve again in month 3 by eliminating the excuses that keep us enslaved to a life half lived. Wright credits her grandmother with giving her the guidance, wisdom, self-confidence, and commitment to excellence to pursue her dreams. "She was the most important influence in my life," says Wright. "Her advice to me, was ‘that I should go to school so I could get an education, get good grades so that I could go to ANY college I wanted, and play sports so I would be competitive.' With those tools, she believed that I could do anything I set my mind to." Today Wright is invited to speak, teach and consult in both the public and private sectors.